New! How did a prehistoric settlement on the Seine become the world-famous City of Light? Journey through 5,000 years of history with sweeping aerial images, 3D-animated CGI, fictional reenactments, and interviews with French historians. 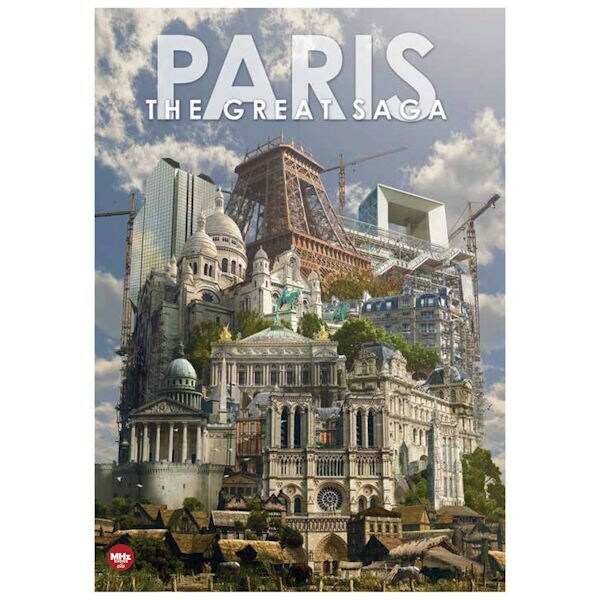 Watch Paris develop and change before your eyes, from the time of the Romans to its architectural revolution, political revolution and today, when it shines as a center of creativity. 5 hrs, 2 DVDs. In French with English subtitles.